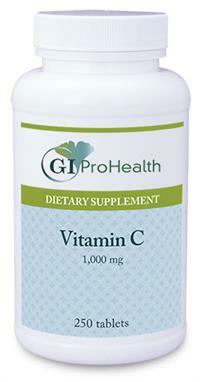 Individual need for extra vitamin C is quite variable and these 1,000 mg tablets supply pure, crystalline ascorbic acid, free of corn antigen, in a convenient and affordable form. A quick-dissolving, water-soluble plant cellulose coating protects vitamin C from oxidation and allows for rapid tablet disintegration. Choose 100 or 250 tablet bottles.